In the wake of Nepal's devastating earthquake on Sunday, which killed more than 3,800 people, several animal welfare groups are getting ready to do their part. "We understand the human dimensions of the catastrophe, now the focus of media coverage, but we expect to learn more about animal-related needs and challenges in the hours and days ahead," Rahul Sehgal, the director of Humane Society International's Asia division, said in a statement. "We'll be ready to help." In a country such as Nepal, which is heavily agricultural, disaster recovery will depend on helping the animals as well as the people. 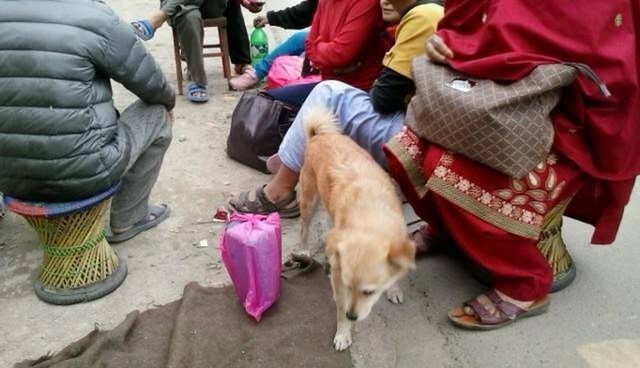 And many of the displaced citizens have pets and farm animals who are in need of medical care, food and shelter - while other animals are now homeless or have lost their owners in the earthquake. Humane Society International's International Disaster Relief Fund: Click here to help. Animal Nepal, a small Nepalese NGO that runs three rehabilitation centers/sanctuaries: Click here to help. Animal Welfare Network Nepal, a network that coordinates the efforts of Nepalese animal welfare organizations: Click here to help. World Animal Protection, which is planning to deploy a rescue team to Nepal: Click here to help.